"We are pleased to combine our innovative suite of services and our new and existing relationships with organizations such as Humana to help patients understand and have access to information about insurance options in their community." LOUISVILLE, Ky. & WOONSOCKET, R.I.--(BUSINESS WIRE)--Humana Inc. (NYSE: HUM), one of the nation’s leading health and well-being companies, and CVS/pharmacy, America’s leading retail pharmacy, today announced a strategic retail partnership designed to educate individuals and their families about their health care coverage options under the Affordable Care Act (ACA). People can visit www.HCR411.com in order to find the closest CVS/pharmacy store that has a Humana representative. Individuals can view a listing of the stores that have Humana representatives, as well as the dates and times they’ll be in-store by typing in their zip code. Humana also recently announced a partnership with the YMCA of the USA (Y-USA),whereby the company is sponsoring health and wellness community events and health care reform educational seminars – led by Humana representatives – at select YMCA locations throughout the six-month open enrollment period for Health Insurance Marketplaces. 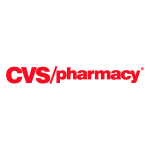 CVS/pharmacy, the retail division of CVS Caremark Corporation (NYSE: CVS), is America's leading retail pharmacy with more than 7,500 CVS/pharmacy and Longs Drug stores. CVS/pharmacy is reinventing pharmacy to help people on their path to better health by providing the most accessible and personalized expertise, both in its stores and online at CVS.com. General information about CVS/pharmacy and CVS Caremark is available at http://info.cvscaremark.com.